I have a bad habit of being a day late and a dollar short when it comes to holiday stuff. Food, decorations, crafts, you name it. I have big plans, buy all the things, then in a blink of an eye, the moment has passed. My only saving grace is when I over plan for Halloween treats. If the idea involves skeletons, ghosts, or witches, I’m out of luck. But if it involves say, pumpkins, then Thanksgiving just got a new treat. 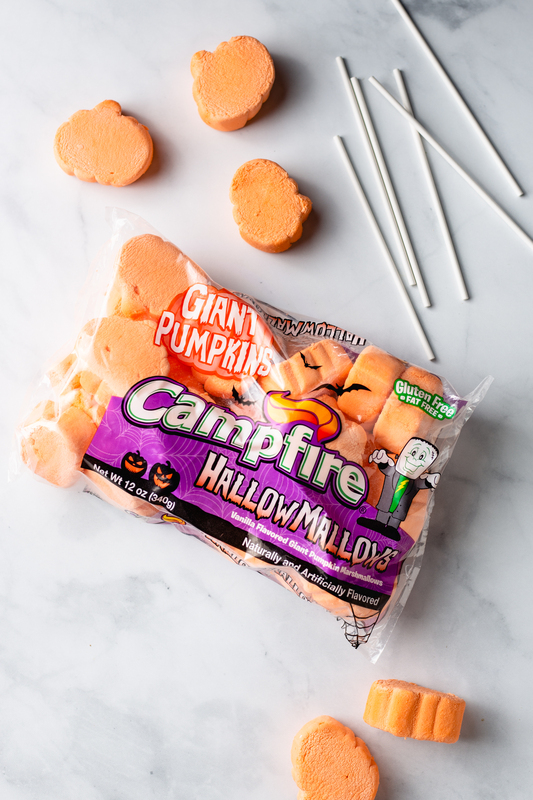 As it turns out, the day after Halloween, I realize I have a few bags of Campfire® HallowMallows in my pantry. I didn’t get around to making a batch of Halloween Brownie Krispy Treats this year so these little bags of cute marshmallows were left without a plan. Enter Thanksgiving! 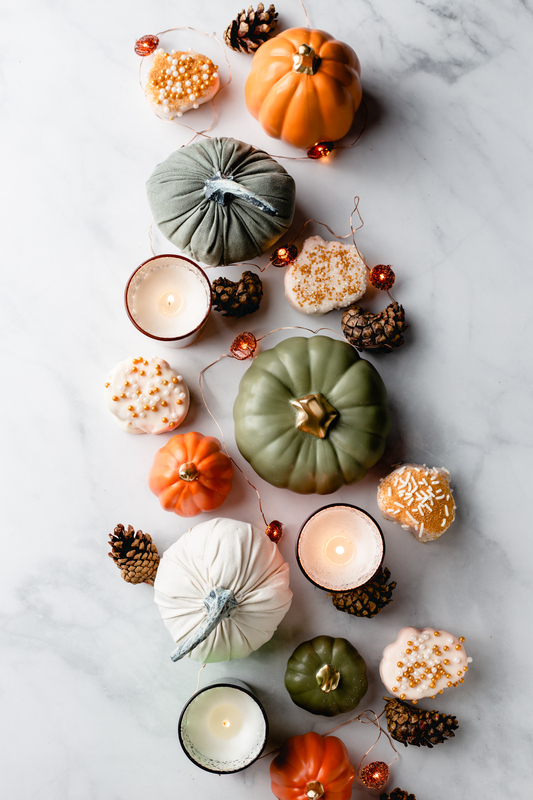 It’s true – these fluffy orange marshmallows are perfect for Halloween, but they are equally delightful for Thanksgiving. Add a bit of almond bark and some white and gold sprinkles, and these Halloween marshmallows make the MOST adorable Thanksgiving hot chocolate toppers ever. 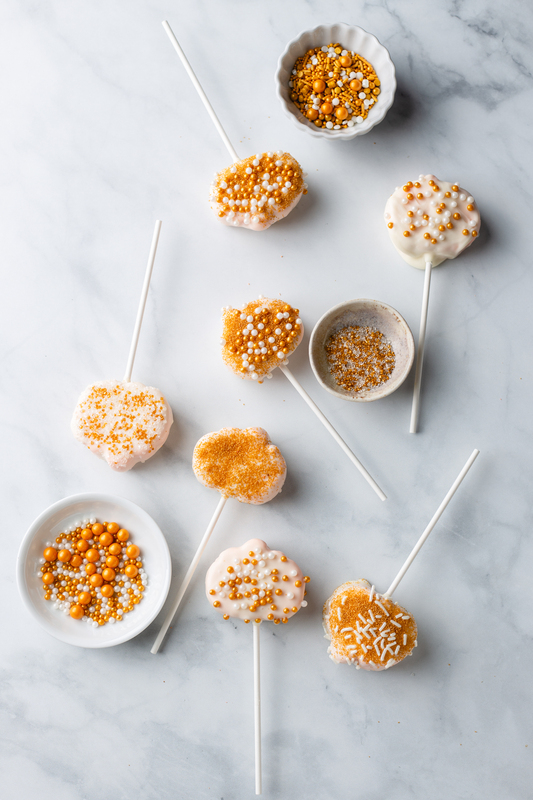 Add sticks for a cute little treat pop, or just keep them stick-less to float inside cups of Pumpkin Spice Hot Cocoa (see recipe below – SO easy and delish!). Can we also talk about the shopping spree I had at the Target holiday bins? Um, it was somewhat out of control but I regret nothing. How magical is this Thanksgiving table runner? This is what I love about the holidays – imagination, creativity, and seeing things in a new way. The holidays shouldn’t be stressful, they should be a time of love and kindness and enjoying the moments together. So coat some cute marshmallows in chocolate, go nuts with the sprinkles and have yourself a very Happy Thanksgiving!! Whisk together ingredients in a medium saucepan set over low heat. Bring mixture to a simmer. 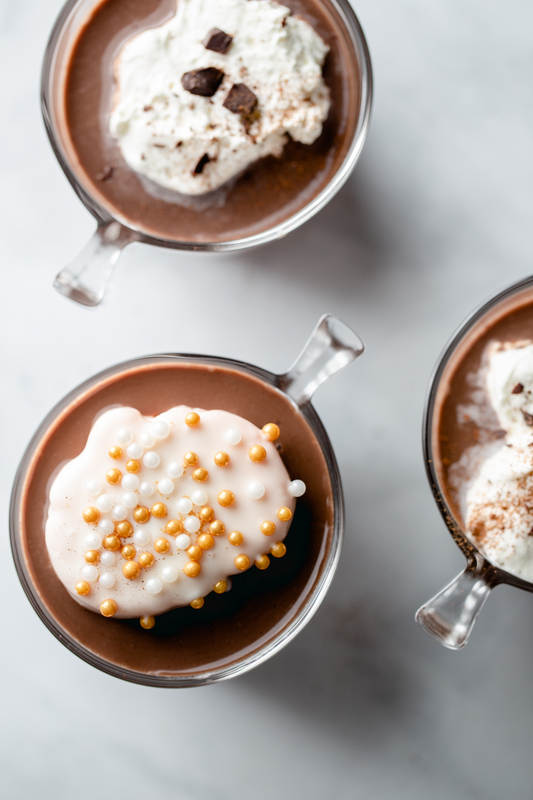 Divide among mugs and top with marshmallow toppers. Enjoy! 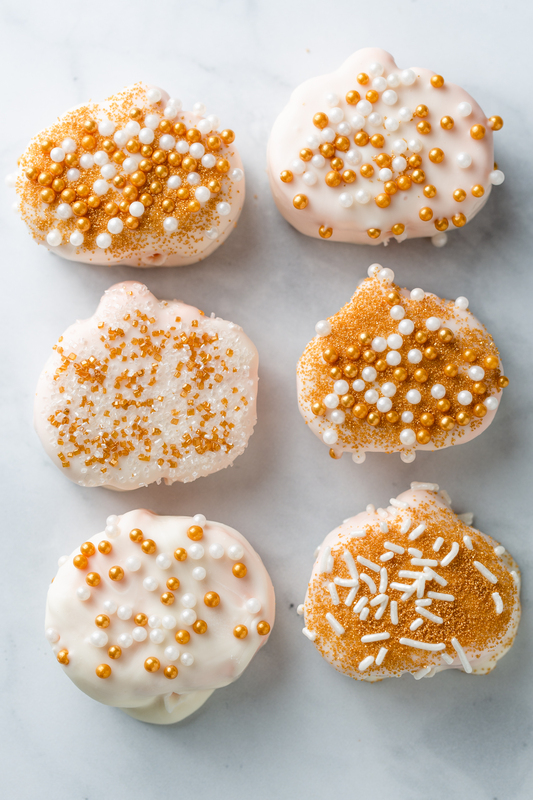 Marshmallow Toppers are made with Campfire® HallowMallows covered in melted almond bark and sprinkled with white and gold sprinkles. Allow almond bark to set before serving.